Bobby Carlson is one of the northeast regions most popular and best known musicians. Twenty-five years ago he helped create a now legendary Rhode Island band called Silver Saddle. The musicians were so respected that when the group broke up, the players went on to form other great bands like: Crisis, The Goat Ropers, and Almost Cowboyz, -two of which are still together and commanding sizable money on the New England club and concert circuit. Bobby Carlson found success in Nashville. While signed to Lofton Creek Records, his song ""Paper Plates & Dixie Cups,"" reached #47 on the Music Row charts, on March 3, 2004. After a few years touring, Bobby come home to form the Stones River Band. Bobby Carlson & SR have played every summer at Indian Ranch in Webster MA. In 2009 he played with Sammy Kershaw and in 2010 opened for Charlie Daniels. Bobby’s performed to big crowds at the sea shell stage at Hampton Beach NH and was a headline act at Country Woodstock, Labor Day Weekend. During the cooler months Bobby plays regularly at several of New England's hottest country nite spots, like: Midnight Rodeo in Manchester NH, where his originals are so well known that his song, *""Paper Plates & Dixie Cups,"" has been choreographed and made into a country line dance. That in-turn, lead to people wanting to purchase the album which encouraged Bobby to re-issue it. 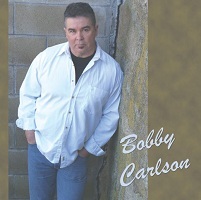 All this buzz lead to on air interviews and actual radio air play and was a big reason why Bobby Carlson was invited to perform a series of showcases during 2010 CMA / Fan Fest in June at various venues around Nashville, which in-turn lead to a great review of the disc by *Cashbox Magazine. Bobby has experienced sharing the stage with Faith Hill, Leann Rimes, Mark Chestnut, Marty Stuart, Darryl Worley, John Anderson, Tanya Tucker, Bryan White, and Leann Womack. Bobby Carlson is an excellent performer. As good as they get. His shows are always upbeat, tight and will make you want to dance or if you prefer clap your hands and stomp your boots. With Bobby Carlson it's all about having a good time - for both him and the audience. * Your song 'Paper Plates and Dixie Cups' has just been added to FAME & GLORY station! * Your song 'Paper Plates and Dixie Cups' has just been added to Get Down Music Nashville station! IMP Your song 'Paper Plates and Dixie Cups' has just been added to Musings station! IMP Your song 'Paper Plates and Dixie Cups' has just been added to JUST LISTEN! station!